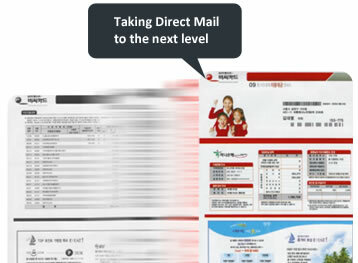 Direct Mail is a form of printed mail that targets individual customers using contents suited for the target recipient. It is valuable and effective way to connect with your customers through highly targeted and relevant mailings that address the customer's individual interest and needs. The increased relevance in the content ultimately leads to better feedback from your customers. Combining marketing statements (promos/ads) with direct mail printing, organizations can communicate additional contents to existing customers on a one to one basis. As such, companies can "piggyback" promotions onto existing transaction-related documents (e.g. statement of account, invoices or bills). Through VersaPrint's data mining and variable data printing technology, companies can target specific audiences with relevant messages, increasing response rate (marketing ROI) and improving "connections" with customers (treating customers like you know them).